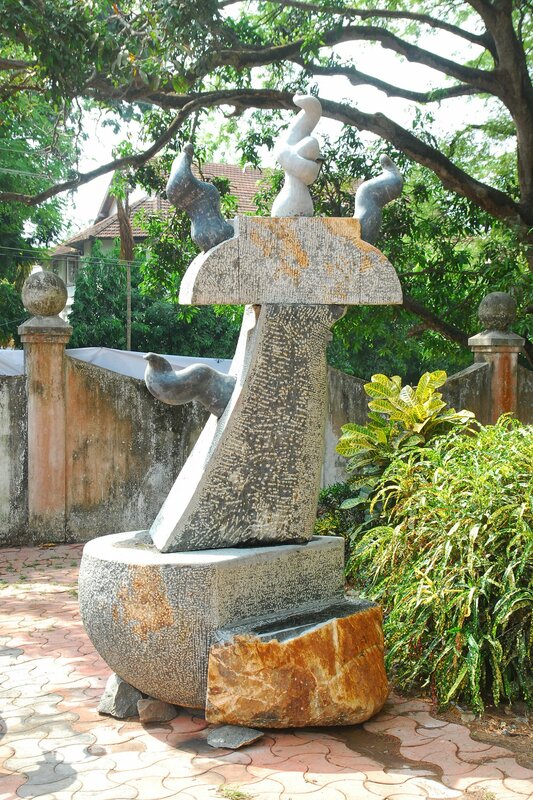 Hochimin Palamootil Hanifa’s granite sculpture of Kappiri is twelve feet in height. The artist refers to the lives of Africans and their sufferings through this work of abstract expressionism. 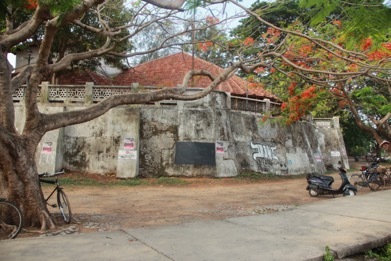 Commissioned by the Kerala State Archaeological Department and the Lalitakala Akademi (the government institute to promote visual arts), the work was achieved during a camp organized by these two institutions that invited artists from Kerala and other parts of India to create sculptures to be exhibited in the gardens of the restored Bastion Bungalow. The “Kappiri” sculpture in unpolished, punctured stone and has three parts—a semicircular base holding a slightly slanting block from which a swirl emerges in the center. The head or top of the sculpture has an inverted semi-circle, flattened to create a firm base from which three swirls stem out. Two are highly polished granite unlike the central swirl and areas below, which are left rough though punctured. 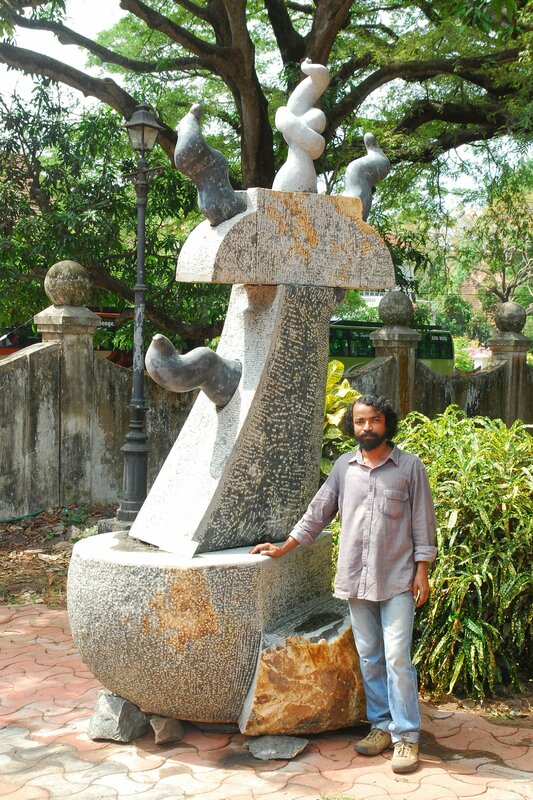 A similarly knotted swirl thrusts outward from the center of the sculpture. Hochimin explained to me that these elements represent tongue-tied lack of communication and are direct references to unspoken histories of enslaved Africans. This symbolic gesture suggests how certain people and communities were not permitted to question colonial authorities as they bore extreme hardships, and also to demonstrate how History is mostly silent about voices of the oppressed.